I joined Girl Scouts as a snaggle-toothed second grade Brownie (which was the age at which Girl Scouting began, back in the olden days of the early ‘60’s). I’m not aware of any burning desire to be a Girl Scout. At the time, there were few after-school activities and perhaps, my mother was glad to have me participate in one of them. But, oh what a difference it made in my life! Girl Scouting provided consistency and a safe place from a chaotic home life. We moved a fair amount and I could always count on Girl Scouts to provide me an opportunity for new friends and adventures. 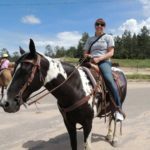 And soon after I relocated to Colorado with my husband and children, signing up as a Girl Scout allowed me to make friends quickly. After nearly 30 years in Colorado, my friends are mostly Girl Scouts, with whom I gather, meet and greet, and travel. Retiring from the staff of the former Mile Hi Legacy Council ten years ago, I continue to lunch with my former colleagues. Now, who else can claim such a long-lived, inspiring network of former co-workers as friends? I was retired, however, not willing to be left out of the loop of Girl Scout doings, hence my interest in the Membership Connection Committee (MCC). What’s kept me involved with the MCC for the last 10 years? Kept in the loop, indeed, with an understanding of the current direction and efforts of Girl Scouts in Colorado. Able to make a small contribution on matters of governance and membership. Meeting other Girl Scouts, girls and adults, with a responsibility to inspire, educate, and support. My term will soon come to an end and I hope I’ll be welcomed back after the required hiatus. 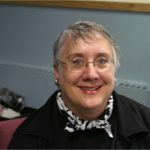 I’ve served as a troop leader, trainer, service unit manager, event organizer, and now board member in my nearly 50 years of Girl Scouting. I’m a Lifetime Member of GSUSA. I currently support two troops and continue to train in leadership and outdoor skills. Serving as an MCC member gives me a great deal of satisfaction since it allows me to share my skills and opinions in ways that influence the future of our organization and our members. I have two sons [“huge, handsome and handy”, former Boy Scouts and “Girl Scout boys (until they became too distracting at Girl Scout events)”] and had, at one time, 26,000 ‘daughters’. A terrific experience that enriched my world, provided me with adventures (around the state, the USA and the world) and made me a better person, trying to live by the Promise and Law. Through my mentoring of young Girl Scouts, I know I’ve made a difference and that feels good. I joined MCC to bring the concerns of rural troops to the council and to help the council’s message reach out to our area. I learned how much our staff and board put into making Girl Scouts of Colorado work. MCC helps volunteers see how diverse the needs and offerings of other areas of the state are. When I was a girl, I was raised with the ideal that I could do or become anything and that there were more opportunities out there beyond what I could see. This is what I want to instill in my daughter and her friends, and through Girl Scouts I’ve found a way to help them explore their world and find their passions. 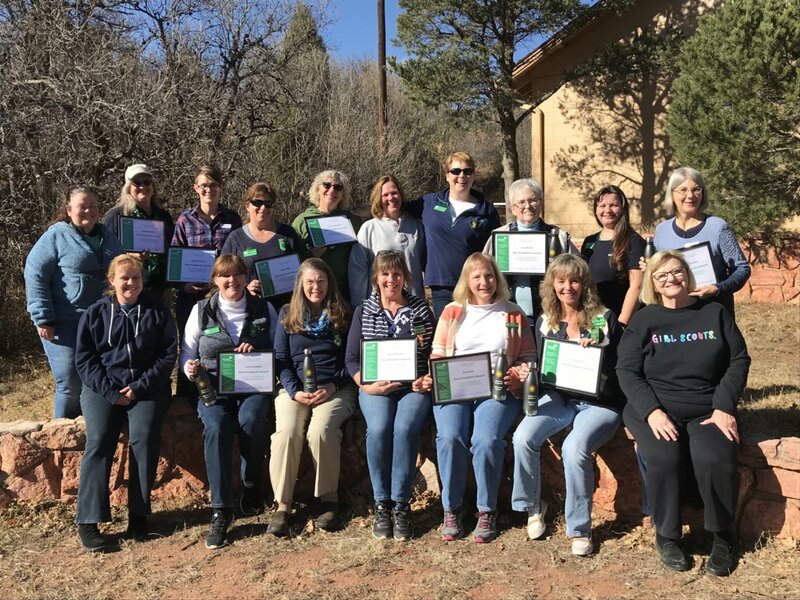 Girl Scouts of Colorado is celebrating extraordinary volunteers throughout the state. 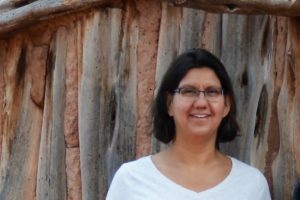 Nicole Niles in the Pikes Peak region was recently recognized for her outstanding work as a GSCO volunteer. 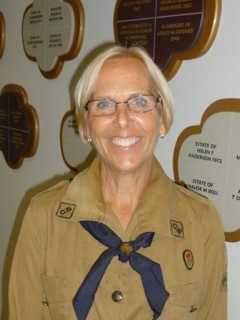 She is also a shining example of the wonderful role Girl Scout volunteers play in the lives of girls and our community. My daughter of course! I didn’t get to go far on my Girl Scout journey due to an out-of-state move and family issues when I was young. When I became a mom to my beautiful girl, I knew I wanted to get her involved when she was old enough. 10 years later here I still am volunteering. The many roles I play just like the most of us 🙂 I am a troop leader and fall and cookie sale manager. I serve on our service unit’s board as secretary and I am a GPS advisor. GPS is “girl planning system, ” a group of girls who help plan various events around the Pikes Peak region. I help on the cookie committee and most importantly, I am the mother of a Girl Scout, so helping her on her journey to achieve her goals is my biggest role. What have I learned ? Well, I have learned a lot. Peer pressure is a big issue these girls face, along with the image factor. I have seen a lot of girls quit Girl Scouts because friends did not think it was cool and these girls wanted to protect their image and not be associated with the group. I have also learned that aside from the girls who give up, there are also those that stand taller because of being a Girl Scout and they are not bothered with the image and they want to go farther in their journey and help fellow girls around them succeed and reach their goals. If the girls I encounter during Girl Scouts can take anything away from me, I hope that they take away the hard work and perseverance of their journey. 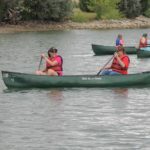 I see and encounter such a strong group of girls, who aside from sports, school, work, social life, and family, give just as much effort to Girl Scouts and I hope that they know how proud I am of their hard work and determination and know they will go far in life and can achieve anything they set their mind too! I have so many over the last years, but the one that touched me the most was during the cookie sale two years ago. My entire troop sold for each other. I know all leaders divide cookies differently and we all have our own way. The way my troop divides puts it as what you sell is what you earn to include booths. Two years ago not a single girl in my troop just sold for herself. One sold for so and so trying to get the Build-A-Bear experience. One sold for a girl to go to a Top Seller event and on and on the cycle went. I spent cookie: season in tears, amazed at the lessons my troop/girls have learned: Be a sister to every Girl Scout, friendly, and helpful. That has to be my most memorable memory that touched me in my Girl Scout journey. Reach out for help. Take advantage of the trainings offered both online and in office. Seek out help from your service unit. Don’t be afraid to ask even if you are asking a girl 🙂 There are several girls who actually seek out to help and mentor new troops. Girl Scouts is thousands strong. Use your resources and use them wisely! Girl Scouts of Colorado is celebrating extraordinary volunteers throughout the state. 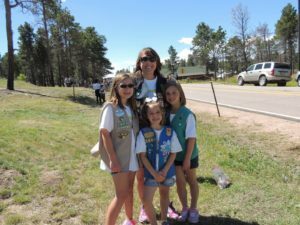 Tara Szabo Maxson of Troop 65477 in the Denver Metro region was recently recognized for her outstanding work as a GSCO volunteer. 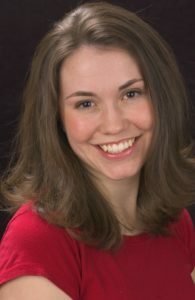 She is also a shining example of the wonderful role Girl Scout volunteers play in the lives of girls and our community. GSCO asked Tara to answer a few quick questions about her volunteer experience. We hope you find her as inspiring as we did. I was a Daisy and a Brownie as a child. I have been a volunteer since 2015. I wanted to get to know other families in our school community. I lead a second grade Brownie troop and am starting a kindergarten Daisy troop in the fall. I have learned that every girl is truly different and special. It is amazing to see that even the little ones are already quite diverse in their strengths and talents. It can be hard with a large troop, but I try to capitalize on this as much as possible. I have also learned that your team of parents is invaluable. I have three awesome co-leaders and an amazing cookie mom who make my life easier for sure! We are surrounded by a fantastic group of parents. We have had a waiting list to join our troop for the past two years and I attribute that to having a great group of parents who work hard to provide a positive experience for our kids and who also network on our behalf in the neighborhood and at school. I hope that girls live by (not just memorize) the Girl Scout Promise and Law. We have focused a lot on learning how to take care of the earth and all of its inhabitants and also the importance of taking care of one another by being a sister to every Girl Scout. I hope my girls do this outside of Girl Scouts throughout their whole lives. As a child, I grew up in Aurora, so I camped at both Tomahawk Ranch and Sky High Ranch. I recall the summer between second and third grade, walking back in the dark to our bunks after our evening campfire, holding hands with my life-long best friend and feeling a little scared of the dark woods, but safe with my camp buddy and my troop. It was a special feeling of bravery and independence, but achieved in a safe setting, which is what I think Girl Scouts strives to provide all girls. 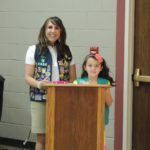 As an adult, it has been special to me to share Girl Scout activities with my daughter. I cried a little when she was inducted into Girl Scouts during a ceremony led by a neighboring middle school troop. I also recall fondly holding my own daughter’s hand while we hiked the trails behind the Morrison Nature Center at Star K Ranch for our troop’s second year Daisy Earth and Sky Journey. Also, our troop brainstormed ideas for our Take Action plan this past spring and then voted on each other’s ideas. My daughter suggested we take care packages to Children’s Hospital and her idea had the winning vote. I was so proud of her thought process, as she really considered how we could use our cookie funds to “make the world a better place.” I am proud of all that my older daughter has accomplished in Girl Scouts and I look forward to seeing what both of my kids do in in the future. Seek help if you need it. The staff at council doesn’t always know what you need, so you must ask! They will help you if they know the answer or find the answer if they don’t. Also, attend your Service Unit meetings at least periodically to network. Leaders of older girl troops have already walked in your shoes and can give you the best practical advice. You can also go to them if you have issues with girls or parents to ask how they handled similar things in their troop in the past. Plan your calendar out in advance for the school year. I plan our troop’s events around our school’s master calendar when it comes out each May and then we can hit the ground running in September. Even if you don’t know exactly what you might do on a given day, at least get it on the calendar for your families to plan ahead. This will help with attendance and parent participation. Don’t be afraid to do things your own way. Girl Scouts provides enough leeway that you can build your own curriculum and let your girls lead the way to do what they want to do. Build your village. Keep asking parents if they will sign up as support volunteers and encourage them to renew each year. Get to know the people who manage the buildings where you host your meetings (and give them a few HTH packages each year for thanks for all they do for you!). Recruit at your school’s “Back to School” night. Most importantly, find awesome partner leaders and cookie managers! The more adult support you have, the better your experience will be and the richer the experience will be for the girls in your troop! GSCO asked Audrey to answer a few quick questions about her volunteer experience. We hope you find her as inspiring as we did. I have been a Girl Scout for six years, plus three years when I was younger. 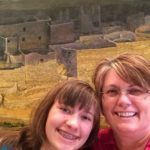 I became a Girl Scout volunteer six years ago so I could start a troop for my daughter. 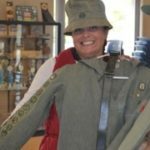 I started as a troop leader and cookie mom. After my first year, I became a SUCM, which I have done for five years now. I have learned to have patience and to roll with things because sometimes no matter how well planned something is, if the girls don’t want to do it, they won’t. My favorite memory as a Girl Scout was going to the pumpkin patch after days of rain and tromping around in the mud, I can still feel how heavy my boots were when they were caked in it. My favorite thing as a leader is being able to watch the girls interact and have fun…there is nothing better than a group of kids laughing. Talk to other volunteers and most importantly find what works best for you, even if no one else does it that way.